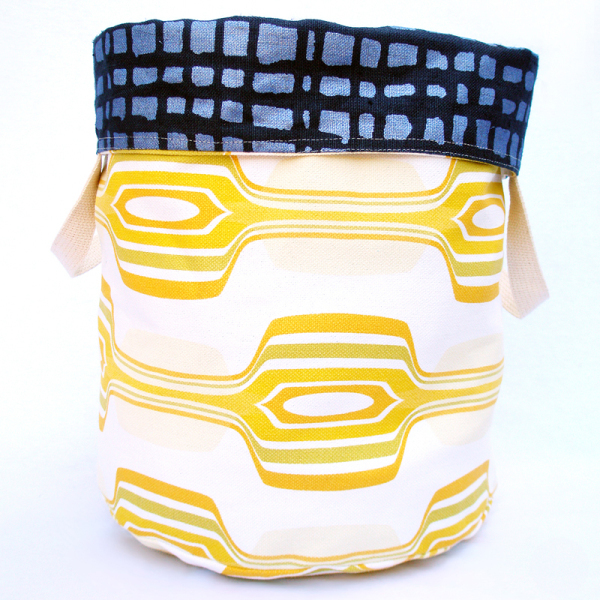 Lemon Reversible Storage Bin is aPractical, colorful and beautiful, is an all cotton quilted 2-in-1 storage bin will look great in any part of the house. Stay perfectly organized in the living room, nursery, or kid’s room/playroom with our storage bins. Our Home Decor collection mixes and matches well with our Baby Bedding and Kids Bedding. Made from cotton quilted our storage bin can be used for everything from laundry to toys, or tossed in the car for weekend out of town. 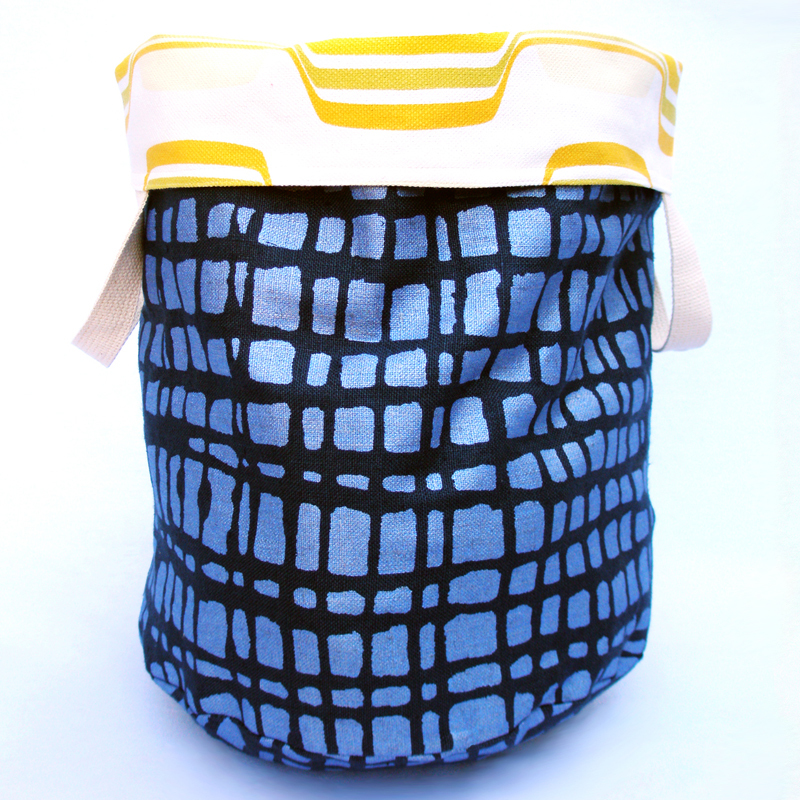 Reversible cotton quilted storage bin that has been designed with two entirely different fabrics so you can choose how you decorate your space. SKU: AuntBucky_Lem_StorageBin. Category: Storage Bin. Tags: Aunt Bucky, Bin, Canvas Bin, Cotton Bin, Diaper Bag, Home Decor, Laundry Bin, Reversible Storage Bin, Storage, Storage Bin, Toy Box. 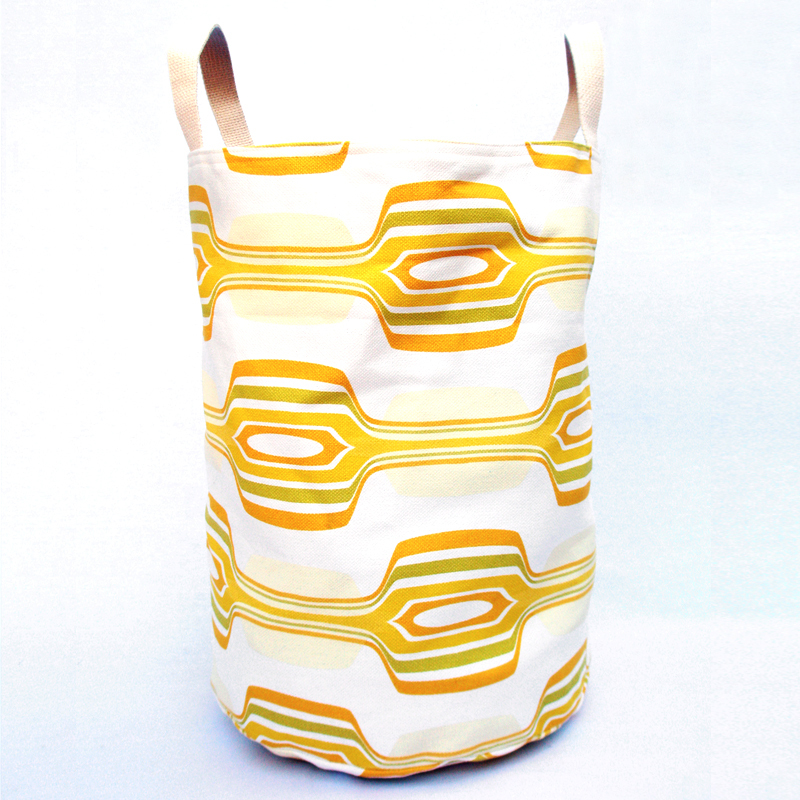 Lemon Reversible Storage Bin will look great in any part of the house. Stay perfectly organized in the living room, nursery, or kid’s room/playroom with our storage bins. Our Home Decor collection mixes and matches well with our Baby Bedding and Kids Bedding. 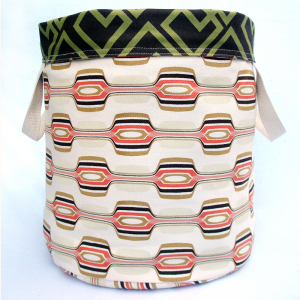 Water Reversible Storage Bin is 100% cotton canvas and can be used for everything from laundry to toys, or tossed in the car for weekend out of town. ALL ITEMS IN STOCK. READY TO SHIP OUT. *Storage Bin does not have built-in wire grid, when empty it does not stand upright. -1 reversible cotton canvas storage bin that has been designed with two entirely different fabrics so you can choose how you decorate your space. 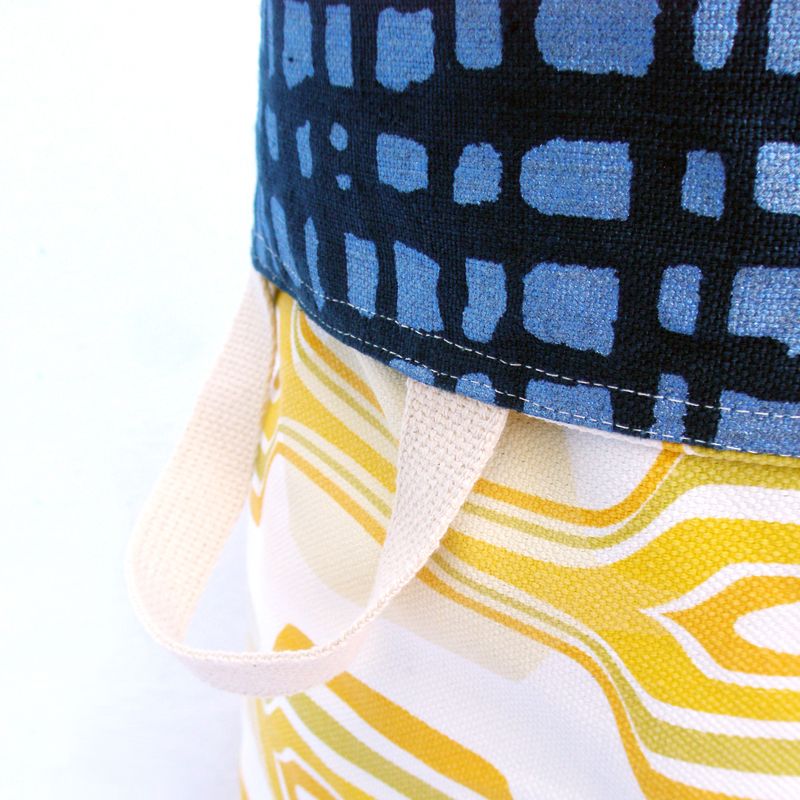 -Webbed cotton handles allow for easy toting. -Machine Washable storage bin that looks great all the time. -Height of bin can be adjusted by folding the top. -Holds all your precious cargo: blankets, toys, books, yarn, magazines and more. -16” high and 13” in diameter. – Machine wash separately in cold water and lay flat to dry.